BUDK is proud to offer this unique Firefighter folder designed for superior performance. The 3" anodized stainless steel blade is housed in a red ABS handle with an acrylic shield with a firefighting symbol. 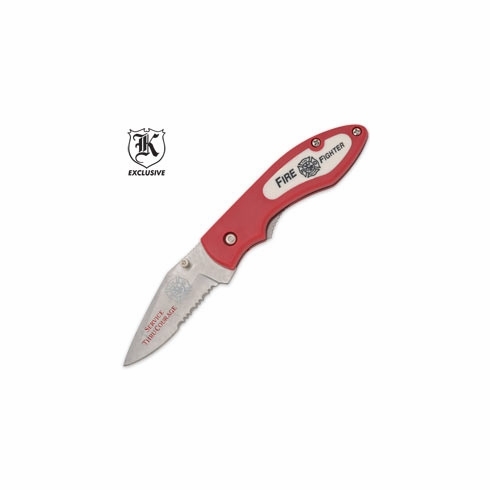 The blade features an etch that says, “Fire Fighter.” Each folder includes a pocket clip. 7 1/4" ov.